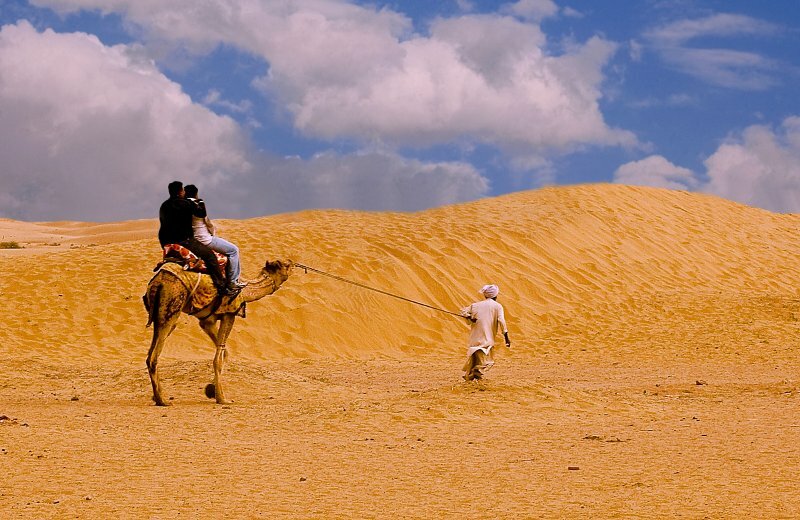 While in Jaisalmer, it is difficult to resist the charm of a camel safari, the most interesting way to explore the desert around Camel Safaris at the top of this ship of the desert is most exciting and soft adventure. Riding a camel is not easy as people consider. It is neither a great test for endurance. 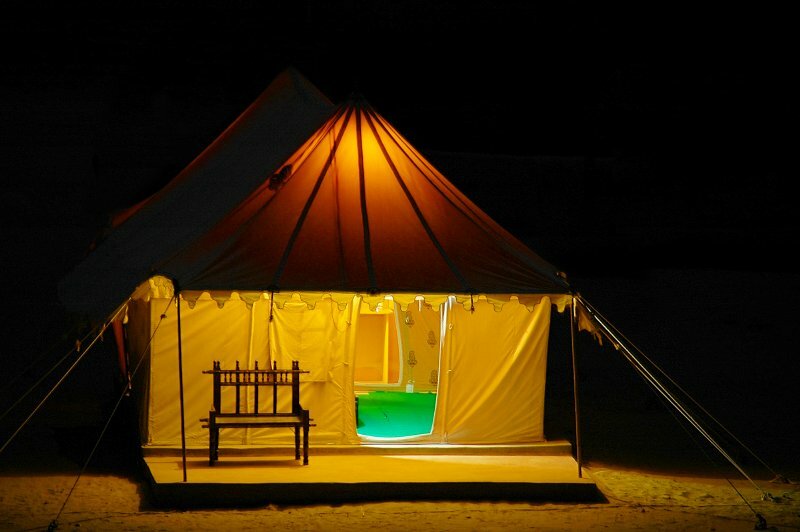 It is a great experience to explore The Thar - a vibrantly, living, desert, very colorful and hospitable. 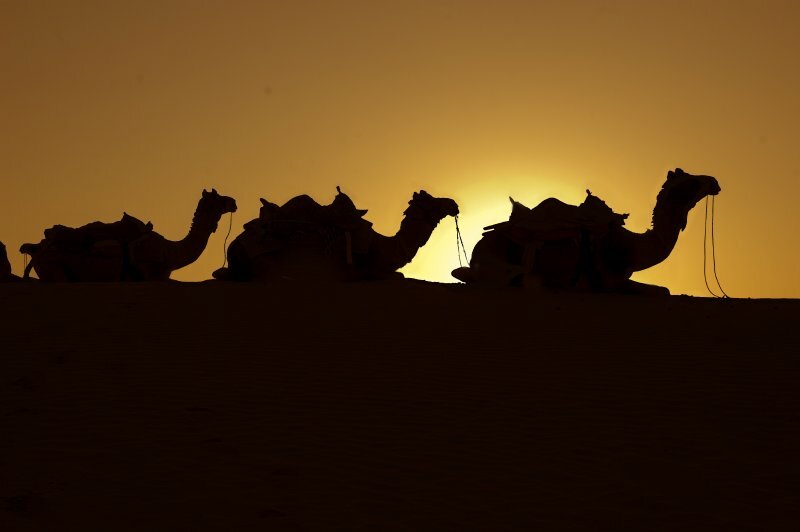 Feel the adventure of a Camel Safari, which takes you through the golden sands of the vast Thar Desert - primeval, savage and lonely. Ride through sandy landscape, passing through remote villages. 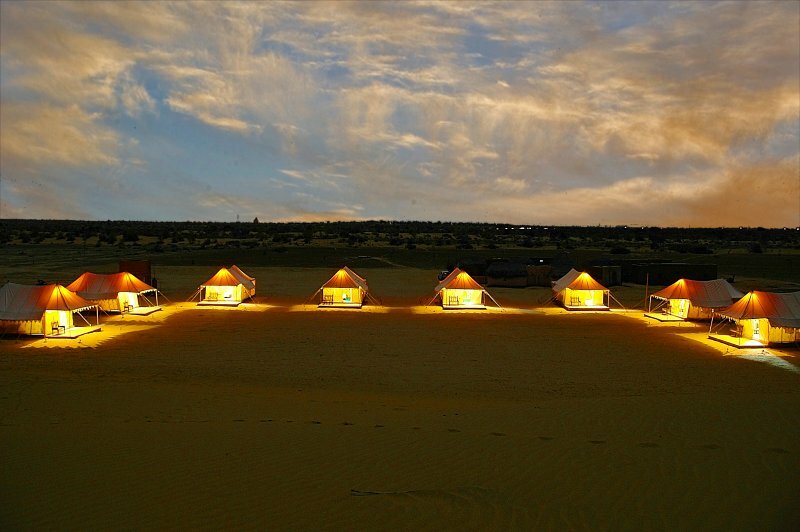 Camp on the solitary oasis, experience the dark starry nights and dance to musicians playing a haunting, stringed instrument. Camel Safaris take one to an experience of the days gone by when time drifted at a leisurely pace. The rolling landscape of the unrelieved ocean of sand and xerophytes shrub covered area is breathtakingly beautiful and the range of flora and fauna surprisingly large for a desert area.